Ukraine's Vassily Ivanchuk, keeping up with his traditional chess ritual, will participate in the Capablanca Memorial Chess Tournament, to be held in Havana, Cuba, from May 7 to 18. 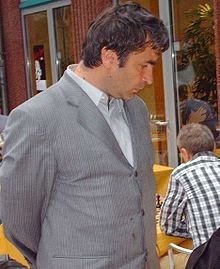 Ivanchuk will be one among six elite-group players invited to the tournament. Ivanchuk's presence consolidates Capablanca Memorial tournament as one of the best ones with high rivalry among the elite group, according to Jose Luis Ramirez, spokesman of the Cuban Chess Federation. The Ukrainian player, winner of the 2005, 2006, 2007 and 2010 editions of the championship in Havana will visit the island for the sixth time. Ivanchuk has a huge chess fan following in the region. Ivanchuk will play in the elite group against Grandmasters Hungary's Zoltan Almasi (2,707), who is the current champion, Spain's Francisco Paco Vallejo (2,707), the Philippines' Wesly So (2,738) and Cubans Lazaro Bruzon (2,676) and Leinier Dominguez (2,757). The players from the elite group have an average elo ranking of 2,720.6 pints. The Capablanca Chess Memorial begain in 1962 as an initiative of legendary Ernesto "Che" Guevara. The first winner was Argentine Miguel Najdorf, followed by Russians Boris Spassky, Vassily Smyslov and Lev Polugaesky. Since 1974, the Capablanca Chess Memorial has included two groups. In 1980, there were four group and the format remained thus until 2006 when it established the current division of one double-round elite group including six players, making the tournament the most important one held in Cuba.